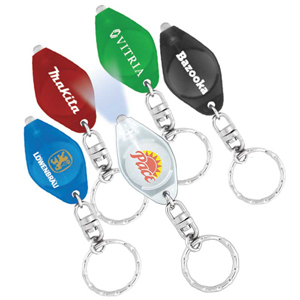 An LED light key chain flashlight with an on/off switch. Choose a blue, white, red or green light colour. Translucent Red, Blue, Green, Black or Clear. SKU:K-446. Categories: Torches, Promotional Merchandise.